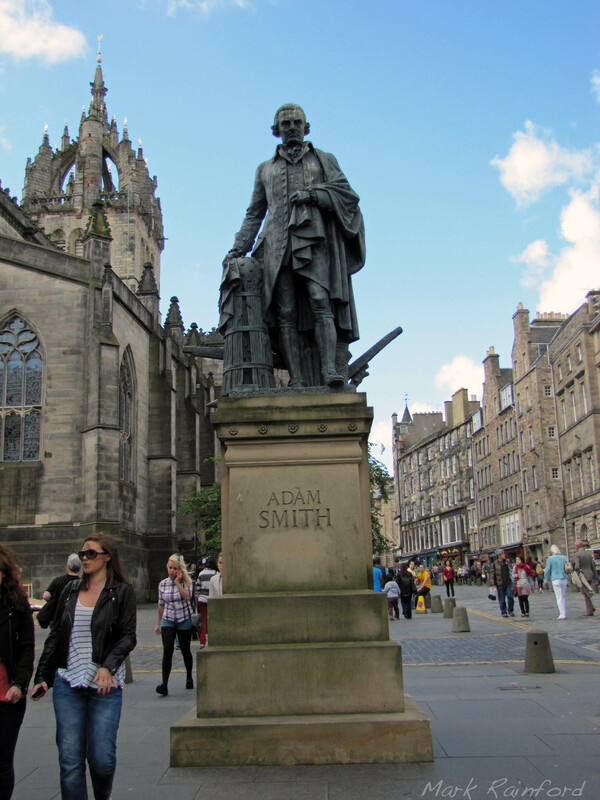 Adam Smith was a Scottish moral philosopher and a pioneer of political economy. One of the key figures of the Scottish Enlightenment, Smith is best known for two classic works: The Theory of Moral Sentiments (1759), and An Inquiry into the Nature and Causes of the Wealth of Nations (1776). The latter, usually abbreviated as The Wealth of Nations, is considered his magnum opus and the first modern work of economics. Smith is cited as the “father of modern economics” and is still among the most influential thinkers in the field of economics today. The monument, which takes the form of a 10-foot bronze statue on a massive stone plinth, located on Edinburgh’s Royal Mile – right in the heart next to St. Giles Kirk cathedral.